There are a plethora of blogging friends I’ve made through Savoring Italy these last few years. Each friend is talented in different ways. One thing we all share in common is our love of great food and some of us even love to share a little bit more than the food. Some of my friends are great story tellers. An excellent food story will transform you in time and bring you to the table with the writer and their subject. When I wrote my very first post, Shakshuka, For Every College Kid’s Hot Plate, I didn’t really contemplate whether or not four years later, coming this November 4th, I would still be here at this space or not. Beginning this journey was a way of purging, cleansing. I had no idea if anyone would read it nor did the thought even cross my mind at the time. The writing of my stories and recipes were healing. A cathartic process. It was my therapy of sorts. Little had I known I would have you all with me on this journey and it makes mine the more special. 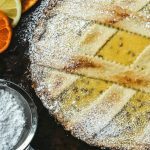 One of my earlier friends on this journey, as I mentioned in the introduction of her Baking with Heritage guest post on my site, was Lora of Savoring Italy. 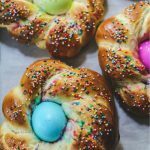 When Lora lost her dad, she wrote a heartfelt post, An Italian Cake and Grief, which kick started her ‘Food Memory’ series. 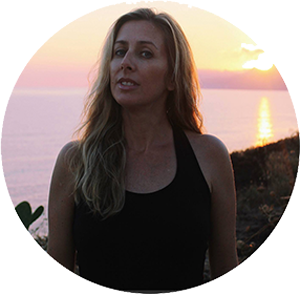 When Lora asked me to guest post in the series, her heart was set on Shakshuka. When I wrote Food Wanderings inauguration post about shakshuka I photographed with an old point and shoot camera. I was also going through some reconciliation about my only kid, my son leaving home for college. What I didn’t share at the time was that three years earlier when my son was a Freshman in high school I lost my dad. That shakshuka was one of only two dishes my dad made from start to finish while we were growing up. My dad was an orphan at a very young age (5) while growing up in a village just outside Mumbai, India. Family members who took him in were not too kind to him. He never spoke of it. I heard it from my mom. It was probably, to him, too painful to rehash. He was the youngest of three kids, with an older sister and a sandwich brother in between them growing up on the streets during prohibition times in India. We were not close to either of my dad’s siblings and their families, although we all lived in the same town in Israel. My dad and his siblings moved to Israel in 1960 or just before. With no birth certificate, or any other official records of my dad’s actual birthday, an approximate date of birth was recorded on his passport. He met my mom in Israel and it’s a story on its own. All six kids, me being the first, were born and raised in Israel. Only thing my dad would ever say while we were growing up was how I was a carbon copy of his mom. I am not sure if he had real vivid memories, quite possibly, or just an imaginary sense of what his mom looked like and who she really was?! We have never seen any photographs. I wonder if any are even in existence?! Not being chummy with my dad’s side of the family, I disliked the notion and rejected the idea, quietly. I was a child, and resented only as a child could the comparison with what seemed to me at the time like, grandparents or not, dead strangers. I would have stomped in defiance if I could. We were closer to my mom’s family and I was convinced I looked like them. I still am, convinced, that is. While I don’t have any convictions and beliefs about the afterlife, for my dad I hope he is now re-united with his mom and dad. Engulfed in their parental glow and embraced in their warmth. My dad grew up to be a joker and a charmer. He playfully cheated when playing with us a game of cards. It might have been poker. He was testing if we were on our toes, sharp. When we caught on to his shenanigans, and it took us a couple, actually more, rounds to realize we were being duped, he threw in the towel so to speak and called off the game before we had a chance to do so. He carried on the same playfulness with his grandchildren whether playing cards or backgammon. They adored him for that. He tickled them silly with his mischievous play. They admired and adored him, still do, for who he was and his tough life story. He is to them Sabba סבא, grandfather in Hebrew. My dad was a hard working day laborer earning an honest meager pay. My dad displayed characteristics telling of his personality. He was meticulous about his clothes and personal hygiene. It’s funny to mention personal hygiene, but it’s true. He had his routine after he showered all the dust off, moisturizing with ‘Velveta’ (the cream not Velveeta the cheese) and putting on fresh smelling cologne. He chose the fabrics and had tailor made fitted button down shirts and suit pants. He liked v neck undershirts vs round collar or was it vice versa?! He also liked 100% cotton pajamas. I think he was allergic to polyester though they didn’t speak in those terms back then. They didn’t have the awareness. As my mom put it, “he gets itchy and uncomfortable when not wearing 100% cotton,” plain and simple. Every year before I flew back to visit Israel, there were only two items on my dad’s wish list. 100% cotton, now I am convinced, round neck undershirts and 100% cotton pajamas. Not as easy a feat as you might think. 100% pajamas are a rare breed. 100% cotton is extremely flammable, so sleepwear by some sort of code had to be a blend of materials. My friend Geri got such a kick out of this that every year before I was heading home to Israel she insisted on joining me on my buying spree and adventure for my dad. She thought it was a hoot and was tickled silly especially when we saw some of the patterns and colors on those said pajamas. He did like blue and some other specific colors and that too amused Geri terribly. 100% cotton pajamas were my father’s lounging wear. That is what he wore around the house at all times. He had quite the collection. He wore pajamas mid-afternoon on Fridays as we kids collected into the apartment for Shababt dinner. He wore his 100% cotton pajamas when he prepared us starving kids Shakshuka to hold us over till dinner time. Then my dad would change to his button down tailored shirts and suit pants just before Shabbat dinner. Sometimes, he just would stay in and sit down for dinner in his 100% cotton pajamas. Did I mention they were Nordstrom’s?! Thanks Lora for inviting me to write this post. This is the second time I wrote of my dad. The first time was in Indian Shakshuka – Poached Eggs in Curry Sauce post that was published in The Jew and the Carrot. 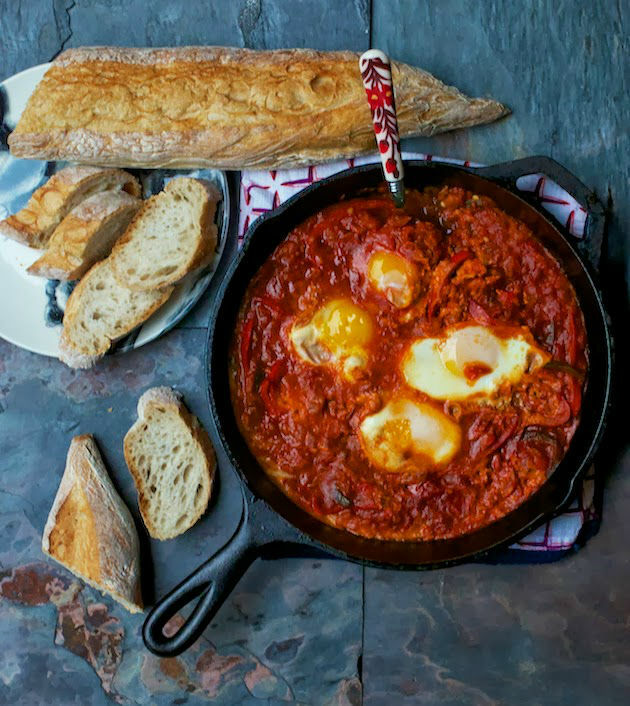 This Shakshuka version is similar, with some twists to the original, authentic Israeli Shakshuka from my first post on this site. Wouldn’t you know it, the timing could not have been better as I just received a copy of ‘Book of Jewish food’ by Claudia Roden in the mail this weekend. It inspired me to add a red bell pepper to the shakshuka just like Claudia Roden does. Thank you, Shulie, for sharing this beautiful story about your father. It really was amazing to hear so much about him and his life. I hope to make your shakshuka one day soon and I will think of him and your family dinners together when you were younger. 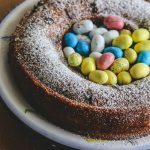 Some favorite posts from Shulie: Shulie doesn’t share sweet recipes often, but her apple Bourbon bundt cake is a favorite, her golden and red beet tartare, and these yeast pancakes. Add the oil into a large deep frying pan or a cast iron skillet. Turn the stove to low-medium heat. Add the onions, bell pepper, jalapeño and garlic and sauté for 5-10 minutes while occasionally stirring with a heat resistant rubber spatula. Mix in the diced tomatoes and continue cooking on low-medium heat while stirring occasionally for approximately 5-10 minute longer. Add the the tomato sauce, paprika and salt and cook for 3-5 minutes longer while stirring occasionally. Crack each egg and add to the tomato sauce. Cook doneness to taste. Cook Note: Most like runny yolks, but I don’t, so I cover with a lid and let the eggs yolks cook through. Could this blog get any better? I am loving these family heritage recipes and stories. Shulie's story about her father is most interesting, and the recipe; yummy. Thanks, Susan-your support is greatly appreciated! 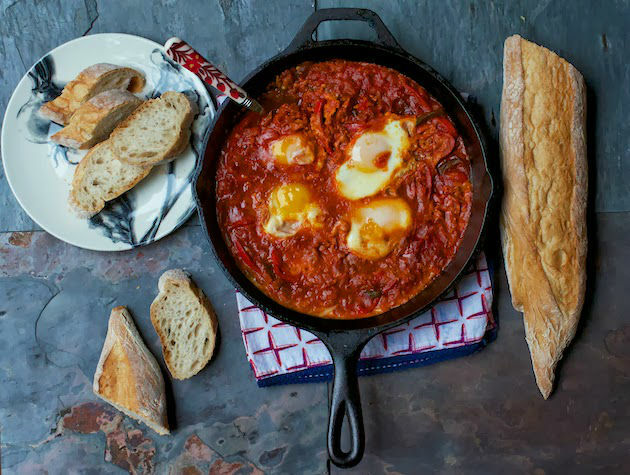 I love Shulie's story about her dad and her shakshuka-delicious! I love this story about your father, Shulie! There's nothing better than a pair of comfortable pj's! Your shakshuka looks wonderful! Aw, great memories, Shulie. And I've been meaning to try shakshuka. Your version looks delish! what a wonderful story. . Shulie, your dad sounds like he was a great, sweet man and hard worker. . isn't it so wonderful how our parents show us unconditional love and a good work ethic? at least that is what I have learned from my parents and father. thank you for sharing! Thx so much, Carolyn. Let us know when you try. Thank you for sharing the story of your father, Shulie! My grandfather was adopted and he was as particular about his PJs as your father was. Too funny! He, too, would stay in his 'lounge wear' past Noon on some days if he didn't need to leave the house when we would stay over night at grandma's house. He always made us kids laugh, too. I must make your shakshuka recipe soon. It looks scrumptious! Thanks again for sharing! Your story of your grandfather, Stacy, put a huge smile on my face. TY. Shulie, thanks for sharing your beautiful, heartfelt, and touching story about your dad. Such vivid memories of his favorite dish, which totally reminds me of a Hungarian style sauce, where we also use the paprika (which happens to be Hungarian)…and the tomatoes, and add the eggs in the end. 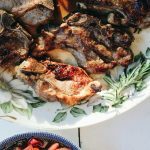 Lora, I love this #foodmemory guest post series you started…I would love to share a very special one about my father (your maternal grandfather)…and his favorite dish that he made for us just about every Sunday! Aww Patty, so sorry for your loss. It's so heartbreaking. Love that your father and mine shared the love for comfy pj's. Looking forward to your writing. It's so cathartic! Your comment is really very touching. This was such a lovely, vivid and fun tribute from Shulie to her dad. I loved every word and these photos are exquisite. The shakshuka looks incredible! TY so much, Nancy. I am truly touched! Such an interesting story Shulie. Your dad went through really hard times, yet managed to leave a smiling mark on you. That's amazing. Love this post! Those look incredible for a brunch, and you reminded me of the 100% cotton pijamas my ex husband wore, lol!